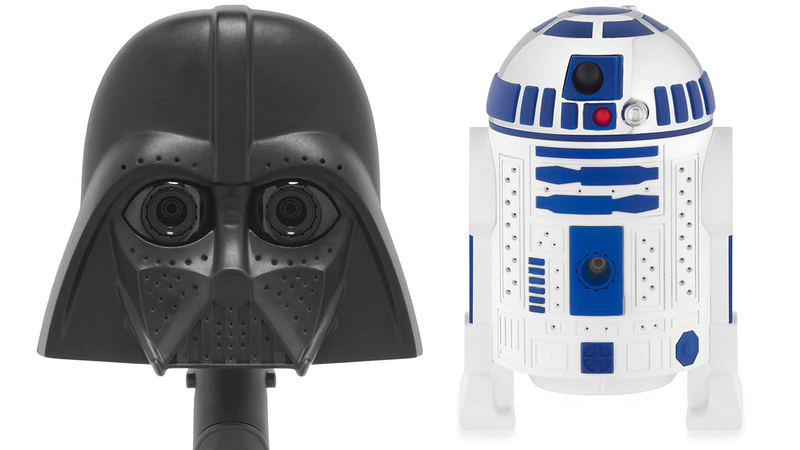 Meet R2-D2 and Darth Vader in showerhead form! With a new Star Wars movie on the horizon, the two characters are now finally fully operational. You can now buy Star Wars showerheads to spice up your morning routine. The R2-D2 version is the droid in full form fixed to your shower line. Vader, though, is just the helmet with a proper handle beneath running to a flexible, long hose. Both are pocked with holes, with Vader again being more notable, as his eyes are giant dark voids. Both products are from Oxygenics, and both come with three different settings for adjusting the water flow. Other shared features include anti-clog nozzles, and a 2 gallons-per-minute flow rate. The biggest difference is that R2 is a fixed shower head, while Vader is attached to a hose, and easily becomes a more convenient handheld sprayer. Vader version, however, costs $30 which is five dollars more than R2 at $25.